Today we will inform you about the benefits and side effects of resveratrol. Resveratrol was discovered in the late 40s of the last century, but it took until the mid-90s before the power and the benefits of resveratol became clear. 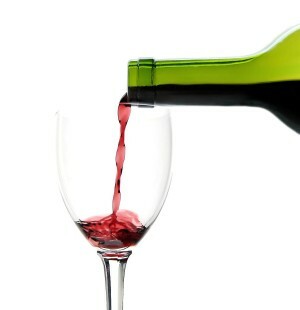 Scientists examined why red wine was still so healthy for the cardiovascular system. The secret was hidden in the presence of resveratrol. Resveratrol occurs in nature in for approximately 70 plant species, including red grapes (and thus also in red wine), cranberries, and peanuts. It is created by these plants as a remedy against various plant diseases. Chemically, resveratrol belongs to the group of anti-oxidants which is called polyphenols. Resveratrol has an extraordinarily strong antioxidant which protects the body against the kind of damage linked to increased risk for conditions such as cancer and heart deceases. (Cosmetic) manufactures know the hype behind resveratrol and promise big things, like: lifting skin, weight loss and a longer life. But what are really the benefits of resveratrol? The list of claims that are attached to resveratrol seems endless. Simply because so many positive attributes encompassing. Studies in medicine show that the substance has a preventive effect in cancer, cardiovascular disease, diabetes and infections. It is a strong antioxidant and can prevent the damage of UV-B radiation on the skin. Resveratrol has also been linked to prevention of age-related problems such as heart deceases and insulin resistance. Researchers believe that resveratrol activates the SIRT1 gene, a biological mechanism that seems to protect the body against the harmful effects of obesity and the diseases of aging. Resveratrol also possesses the anti-inflammatory properties and can stimulate the synthesis of collagen. All these features make it a popular ingredient in cosmetic anti-aging claims. Resveratrol is won for cosmetic purposes from the Fallopia japonica, commonly known as Japanese knotweed (Polygonum cuspidatum). There are no side effects on the short term (1 year or less), but because there have been very few studies conducted on resveratrol in humans, doctors still can’t confirm any benefits, and they don’t know what effects these supplements might have on people over the long term. Bestanti-aging.com and his team advices would not advice you to use resveratrol supplements, simply because more research is needed. Resveratrol by the name of Polygonum cuspidatum in an anti-aging cream however is safe to use. I tried a facial at a spa in Naples, they used products that have resveratrol in them and my skin is glowing afterwards. It’s been two weeks since my facial and I could say it was really effective, my skin has never looked better.